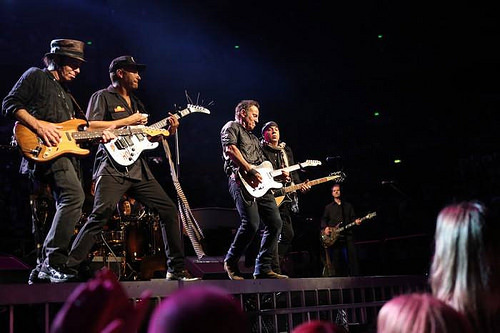 Bruce covered the song twice during the High Hopes Tour. The song was played in a full-band arrangement. 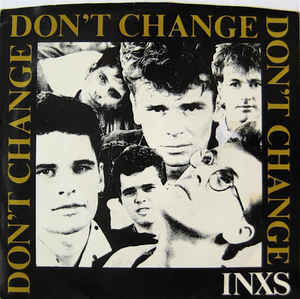 "Don't Change" is a song by Australian rock band INXS. It was released as a single from the album Shabooh Shoobah, in October 1982. It has been described as the band's first international single. In 2017, the song was selected for preservation in the National Film and Sound Archive's Sounds of Australia collection. The music video, directed by Scott Hicks, was originally planned to be filmed on an airport runway, in South Australia, but was cancelled due to a bad weather and filming took place in a nearby airport hangar.